CaptureLeave is a powerful leave management and vacation tracking system that improves the overall efficiency of applying for and administering leaves and vacations. With CaptureLeave’s cloud-based software, human resource departments can handle leave management and vacation tracking online anytime and anywhere, resulting in reduced absenteeism and increased efficiency. Employees simply fill out vacation requests online while CaptureLeave allows administrators to approve or reject requests. Anyone in the administration department or the HRD knows how hard it is to approve, reject, and keep files of everyone on leave. Employees too know how hard it is to fill up a form, submit it to HR, and wait for their request to travel from one department to another until it gets approved. Why go through this grueling process when you can simply use our leave management system! For businesses handling a hundred employees or more, tracking vacation leaves of each one can be confusing especially when manually administered, resulting to costly errors. CaptureLeave offers the best solution to dilemmas like these. We are an online leave management system that can easily record, track, and document all employee vacation leaves with just one click! CaptureLeave provides an extensive employee vacation tracking scheme with an employee vacation calendar that can easily handle all your leave management concerns. Simply create an account today, add all the possible holidays in a year, and create groups depending on departments at your office. After everything is set, employees can easily file their leave requests online and you can easily approve, reject, and even place notes on the leave requests. The leave management software is the most efficient solution to not only tracking down vacation leaves of every employee, but it also makes vacation leave filing and approvals paperless! You can forget about filing approved or rejected requests or pinning them to a calendar, since all these information are available for checking and updating anytime online. CaptureLeave believes in creating a vacation tracking software that is not only efficient and comprehensive, but also easy to use and easy to learn. With this leave management software you can easily view the calendar and see which employees are already on a scheduled leave, approve or reject requests, send out email blasts, create reports, and post all the holidays for the year. The leave management software is available for use 24/7 so you can access it anytime, anywhere. Forget about complicated hardware and hard to use leave management and PTO softwares, CaptureLeave not only provides an easy to use online leave management system, you can even experience all of this for free! What use is a vacation tracking software if it can’t be flexible to all your company’s terms? 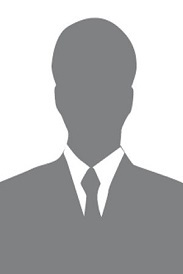 CaptureLeave allows you to use and customized web tools depending on how your company handles employee leaves. This feature helps empower your HR department and allows them to handle and process all leave application with ease. No paper, less manual work and an easy online registration. CaptureLeave is all about making your life easier. For tracking vacations and leaves of absences, CaptureLeave is the solution. Take it for a test drive and see for yourself. 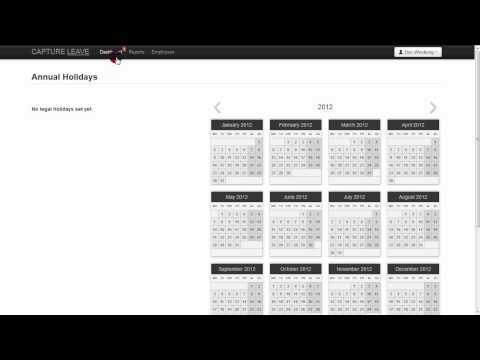 CaptureLeave how it works for easy leave and absence management and vacation tracking. To remove approved days off follow these steps: To to the [Employees] tab of your CaptureLeave account Search for and click on the name of the employee you need to change the approved days off Scroll to the [Days Off Approved] section (on the left) and click on [Delete] next to each approved day you want to cancel or remove. To change your password, you have to log in using your existing password: Then click the drop down arrow next to your name on the top right corner of your account Select the [Change Password] option Enter your existing (old) password and then enter your new password (repeat this to ensure it is correct) Click [Save] and you are done. Q. Is there a way to set-up sick leave so that it doesn't impact the vacation balance allowable? Setting up Custom Leave Labels: To set up Sick Leave which won't impact vacation balance, use Custom Labels. First create a Custom Label (maybe Sick Leave) and make sure it is set as a NO for [Paid] value. This way when employees select the type of leave as Sick Leave, CaptureLeave will know not to deduct this from the user's vacation balance. Great tracking and great admin tools. Very accurate calculations super easy to use. Customer Service often lost paperwork, very often I had to refax information or call which could be frustrating.